High Omega-3 and fiber flaxseed supplement for humans with added vitamin D-3 and minerals made with highest quality ingredients to benefit overall health. Mega Omega® is the non-GMO, all-natural blend of premium Pure Glean stabilized ground flax seed, oat flour, crystalline corn fructose (delicious sweetener with a low GI rating), vitamins and minerals. With all the benefits of stabilized flax, plus oat flour and vitamins and minerals — you’ll want to make Mega Omega® a daily habit for yourself and those you care about! OMEGA-3 – important for body maintainance. Essential fatty acids attract oxygen and generate electrical currents. They are also converted into hormone-like substances called prostaglandins. Experts consider that our current consumption of Omega-3 is much less than it should be and recommend eating foods with a higher ratio of Omega-3 to Omega-6. • SOLUBLE FIBER offers high mucilage content and may help mantain blood glucose and cholesterol levels. • INSOLUBLE FIBER stimulates bowels to support regularity. LIGNANS—have been shown to support immune system integrity. VITAMINS C & E – are recognized for the normal growth and development of tissues in all parts of the body. Vitamin C is a water-soluble vitamin. Water soluble vitamins dissolve in water. The body cannot store them. Leftover amounts of the vitamin leave the body through the urine. That means you need a continuous supply of such vitamins in your diet. Vitamin C is necessary to form collagen, an important protein used to make skin, scar tissue, tendons, ligaments, and blood vessels. Vitamin C & E are two of many antioxidants. Antioxidants are nutrients that block some of the damage caused by free redicals, which are by-products taht result when our bodies transform food into energy. The Simple Addition of Mega Omega® to Your Daily Diet Can Change Your Life! 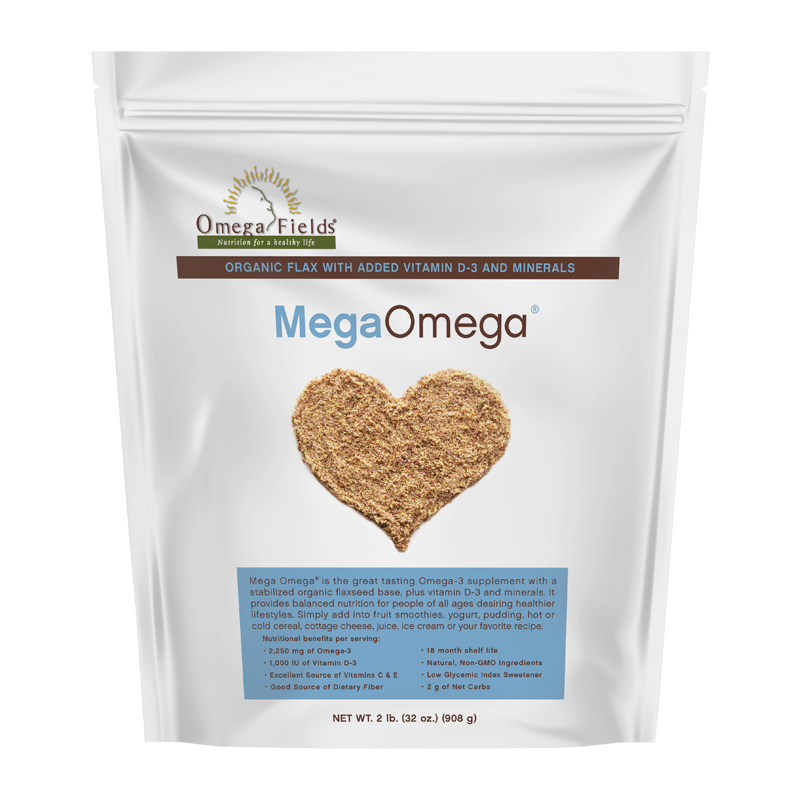 Mega Omega’s® premium formula of Pure Glean stabilized ground flax seed and synergistic plant and vitamin antioxidants is easy and convenient to mix in oatmeal, juice or water (an Mega Omega® smoothie is spectacular!) or sprinkle it over your food to add extra excitement. It has a subtle nutty taste that will excite any salad or yogurt dish. Great for baking as well! Mega Omega® brings together in one product — Omega-3 Essential Fatty Acids and Fiber (naturally occuring in flax) — and Synergistic Antioxidants (naturally occurring in oat bran and vitamins). If this sounds good it gets better. One of words we hear mentioned so much these days is ANTIOXIDANT. We’re told over and over again that we need a synergistic blend of antioxidants to help support our immune system. Please take a few moments to read “why” antioxidants are beneficial and “why” we feel our supplement, Organic Mega Omega® is one of the most effective all-natural antioxidant blends on the market today. Oxygen: Friend as a Molecule – Foe as a Free Radical: Oxygen as a molecule is essential for life on earth. Without its presence, no living being would survive for more than a few minutes. Yet oxygen is a double-edged sword; as its existence gives life, so does it slowly take it away, by a process know as “oxidation” — the very process by which all things decay, and “return to dust”. Almost every substance on earth is subject to attack and decay from oxygen. Scientists believe free radicals play an important role in the initiation and promotion of cancer, cataract, arthritis and other degenerative diseases. Exposure to environmental pollution or irradiation, eventually increases the free radicals beyond the ability of the organism’s defense system to cope with it. Free radicals are highly reactive forms of oxygen that damage cells throughout the body. As our body creates energy at the cellular level, oxygen is metabolized, changing its structure. In this process, the oxygen molecule loses one electron, turning it into a free radical. Free radicals are inherently unstable, since they contain “extra” energy. To reduce their energy load, free radicals react with certain cells in the body, interfering with the cells ability to function normally. Free radicals are also created through detoxifying rancid fats and chemicals, such as drugs, food additives, and preservatives; and by pollutants, sunlight, radiation, and stress. The natural mechanism that protects our body from free radicals weakens with age. Standing as the major defender against harmful free radicals is glutathione, the body’s own antioxidant, along with the liver – as the primary detoxifier of harmful chemicals both consumed and produced in the body. This organ’s antioxidant abilities are crucial to life and well-being. In this day and age, supplementation with a variety of plant-based and vitamin-based antioxidants to fight free radicals is becoming a popular choice. Mega Omega® is a good-tasting, convenient source of synergistic plant and vitamin based antioxidants – as well as plant-based Omega-3. There are many types of antioxidants available. The most common ones are the vitamins C, E, A, and selenium. Research on several important new forms of antioxidants, shows that these antioxidants are many times more potent than the above-named nutrients, and work in different ways for additional protection. Polyphenols are very powerful antioxidants, and act to regenerate Vitamin E after it becomes oxidized. The antioxidants in Mega Omega® provide polyphenol anti-oxidizing power. One of our customers was turned on to flax by word-of-mouth from a friend who lost 150 pounds and claimed the only dietary/lifestyle change was the addition of stabilized ground flax seed to the diet. Please note that this has not been the case with every person that consumes flax seed, but according to anecdotal evidence may be quite common. Flax seed is known to maintain blood sugar stability, so that you may feel full longer. Feeling full longer means that you may be able to make active lifestyle choices in between meals, instead of making the choise to eat too many snacks. For over 30 years, George Washington University, Washington, D.C. has offered a very effective and successful Weight Management Program. Arthur Frank, MD, MS, has been medical director of The Weight Management Program since he created it in 1976. The Program includes the addition of stabilized ground flax seed as a nutritional mechanism to deliver fiber and essential fatty acids – in conjunction with a low calorie diet. For more information on George Washington University’s Weight Management Program, call 202-223-3077. Many of us have heard about the health benefits of omega-3 fatty acids in our diet. Now there’s scientific research that shows omega-3s help maintain mental balance, according to test results from a study in Taiwan. Doctors discovered global areas that have a large consumption of omega-3s, maintain mental balance. The study appears in the Journal of Clinical Psychiatry. Good sources of omega-3 fatty acids are fish and fish oil, as well as ground whole flax, and flax seed oil. Flaxseed’s high content of alpha linolenic acids has made the ancient flax seed become our modern amazing food. Alpha linolenic acid is a type of plant-derived omega 3 fatty acid, similar to those found in fish such as salmon. There have been many studies of flax seed that include maintaining cholesterol levels, supporting blood triglyceride, and maintaining blood pressure. It may also maintain platelet fluidity. Flax seed is also easy to include in your everyday diet – especially in the product Mega Omega. It has a delicious mild nutty flavor. Love your heart! Flax seed is the richest plant source of Omega -3 essential fatty acid. Omega 3 is necessary for cell membrane integrity. Cell membrane integrity can be compromised by excess acidity at the cell levels and by too high levels of fatty acids like Omega-6 from vegetable oils, and grain – and trans fats from processed foods, and animal fat products. If those membranes become deformed they cannot facilitate the elimination of metabolic wastes nor can they allow entry to the cell of nutrients. The cell membrane also is important in energy production … the electrolytes of magnesium and potassium inside the cell interact across the cell membrane with the electrolytes sodium and calcium in the fluid outside the cell to produce electrical energy. If the membrane is damaged, calcium and sodium rush into the cell and shut down the life forces. It’s important to be aware of the differences between “Stabilized Ground Whole Flaxseed” and “Flaxseed Meal.” Many consumers are not aware of the fact that “Flaxseed Meal” actually refers to the by-product of the oil pressing process. In this case, the oil is either pressed out of the seed and sold as Flaxseed Oil or it is chemically removed from the seed and sold as Linseed Oil. The remaining dietary fiber and protein is sold as “Flaxseed Meal”. The Omega 3 fatty acids have been removed; therefore you are not receiving 100% of the nutritional value of the seed. Flaxseed Meal is also significantly less stable than Stabilized Ground Whole Flaxseed because although most of the oil has been pressed out of the seed, the minimal amount of oil that is left is subject to rapid oxidation due to extensive damage done to the seed matrix during the oil pressing and removing processes. Because many consumers are not aware that there is a difference – we encourage you to be sure to read the product label carefully. According to the Health Sciences Institute, the most effective way to eat flax seeds is in the ground form. This is when the flax seed oil and fiber is the most bioavailble – and you get the most benefit (like the stabilized ground flax that is the base for Mega Omega®!) Flax seed has a mild, nutty flavor and is much more palatable in the ground form than straight pressed flax seed oil. Futher, one quarter cup of ground flax seed is the equivalent of 17 flax seed oil capsules, so there is substantial savings. Is it the better taste? The lower cost? The greater variety of uses? Whatever the exact reasons, vegetable-based essentail fatty acids (EFAs) (especially from stabilized ground flaxseed – the richest plant source of Omega-3s) are seeing increased attention from consumers. Within the realm of Omega-3s, most consumers now associate Omega-3s with fish oil and consumption of cold-water fish, possibly missing the vegetable source of flaxseed for Omega-3. Vegetable EFAs help address concerns over the ethics of consuming animal products, but also speak to the issues of sustainability (overfishing is a big concern) and safety (marine pollution and toxins in fish). Another factor is cost. Some vegetable EFAs may cost less compared to the more expensive marine sources. Fish oil has also long faced the challenge of unpleasant taste, especially in supplements (aftertaste issues). And EFAs from flaxseed also offer robust profiles of nutrients including enzymes, antioxidants, flavonoids, fiber and vitamins/minerals. Crystalline Corn Fructose does not raise blood sugar dramatically like other sugars, which is important to those who need to be watchful of elevated insulin levels (that is all of us, actually!). It is listed much lower on the Glycemic Index chart — with a rating of 20 compared to glucose or sucrose with high ratings of 100. The Glycemic Index measures how quickly a carbohydrate breaks down in the blood stream. If the carbohydrate breaks down, slowly the Glycemic Index rating is low. Conversely, if the carbohydrate breaks down fast, it will have a high Glycemic Index rating. We care about the health of our customers and only use ingredients that are superior and nutritious. We’ve never compromised the quality of our products and we never will. Omega Fields’ PureGlean Milling process delivers a more potent form of Omega Three Fatty Acids. 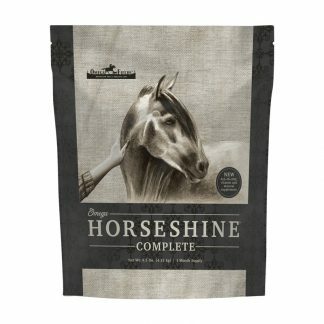 Painstakingly perfected at a small, state-of-the-art mill in rural Wisconsin, the proprietary process ensures a powerful dose of Omega 3s every time you use an Omega Fields product. You can have confidence in the Premium, Human-Grade, Non-GMO, 99.9% Pure, Stabilized, Ground, Fortified Flax we use in our Mega Omega® formula — as it is protected from rancidity or loss of nutritional value. We are pleased to offer detailed scientific information concerning flax (Linum usitatissimum L.) as published in the American Botanical Council’s THE ABC CLINICAL GUIDE TO HERBS 2003 edition (click on “Read” for those 11 pages – along with the cover). The American Botanical Council (ABC) is a 501©(3) educational nonprofit organization providing science-based and traditional information to promote the responsible use of herbal medicine. Visit http://www.herbalgram.org/ for more information. That same safe and convenient stabilized ground flax seed is found in Mega Omega. In fact – stabilized ground flaxseed (the base of Mega Omega) from ENRECO®, Inc. (Omega Fields’ former parent company) is the only branded product listed in the chapter on FLAX (Linum usitatissimum L.) – see page 148 – because ENRECO’s stabilized, ground flaxseed had been utilized in a clinical study concerning flax supplementation and prostate cancer*. Mix a rounded tablespoon of Mega Omega® in food or drink, twice daily. Try it mixed with eggs, cereal, juice, yogurt, applesauce, or on a peanut butter and jelly sandwich. The best way to take Mega Omega® is the way YOU and your family find it the easiest and most convenient – it is best to find the way you like it best and then, just do it! The idea is for Mega Omega® to become your daily habit! We’ve collected wonderful recipes for cooking or baking as well. The stabilized, ground, fortified flaxseed used in Mega Omega® utilizes PureGlean stabilization technology. 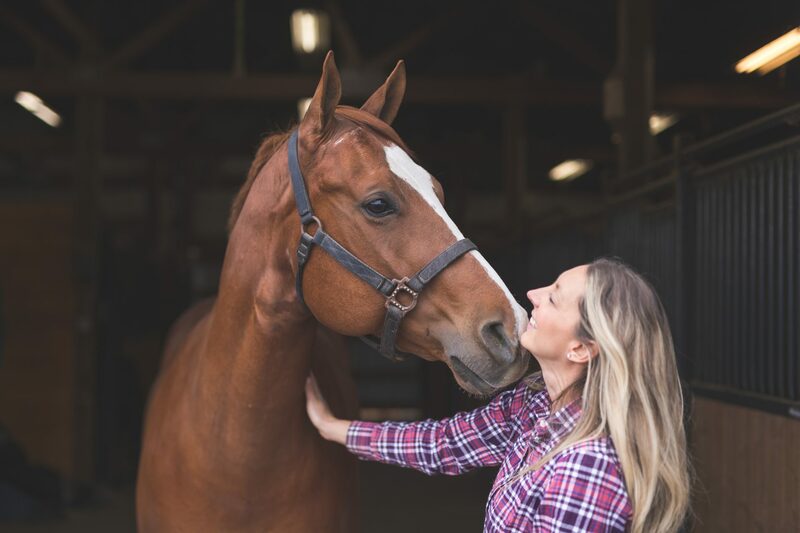 The powerful nutrients in Mega Omega® are locked in and guaranteed stable for at least 18 months with no signs of rancidity or loss of nutritional value. No need for refrigeration. Best if stored in a cool, dry place (under 74º F). Note: Freezing extends the stability even longer! 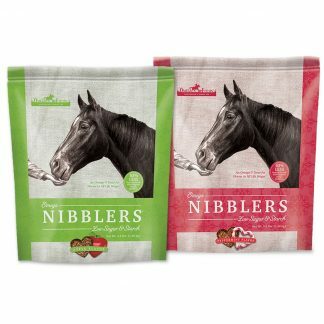 Available in a convenient and resealable 2 lb pouch – approximately 60 servings. I’m interested in starting a new Omega 3/vitamin supplement and have been looking at your Mega Omega product. I am looking for a product that contains Omega’s 3, 6 and 9, all three. I’ve read somewhere that you need Omega 9 along with 3 and 6 for all the omegas to work properly. You will be pleased with Mega Omega as a source of the full complement of Omegas: Omega-3, Omega-6, and Omega-9 – plus a super plant-based antioxidant and a rich vitamin/mineral blend! I have a question about Omega 3’s Anti-Inflammatory affect during running. I noticed you have Roy Pirrung as a spokesperson so maybe you can help answer my question. I am an ultra runner and am completely terrified of NSAID's during runs. Too many runners have been hospitalized with renal failure due to a combination of ibuprofen and dehydration. I am following up with you concerning your excellent question. We had passed it onto our on-staff Omega-3 expert — Dr. Doug Bibus, PhD. Please see his response directly below. Under his response I have also included Roy’s response to your email. “I drove 100 miles the other day but running! Hats off to Roy and the band of ultra marathoners. Amazing. Flax is a very meaningful nutrient to add to a training/competing regimen. There are two primary triggers for inflammation in this scenario, increased oxidative stress and metabolism of arachidonic acid (an omega 6 EFA) to eicosanoids that promote/cause inflammation. Flax contains very high levels of natural antioxidants (much higher than blueberries!) and consuming flax on a regular basis increases your antioxidant background level in your body. We have shown in sled dogs competing in 1100 mile races that prolonged exercise results in significant oxidative stress. Again remember that about 3% of the oxygen we use to form ATP/energy is converted into oxygen free radicals which are normally “deactivated” by superoxide dismutase, glutathione peroxidase or antioxidant nutrients. During extreme and prolonged exercise our bodies ability to cope with this tide of oxidative materials is over run and this leads to stimulation of inflammation through the activation of lipase and cyclooxygenase enzymes that metabolize primarily arachidonic acid into hormone like compounds which cause swelling, pain and vasodilation. These compounds are referred to as eicosanoids or prostaglandins. Eicosanoids derived from arachidonic acid are classified as Type 2 eicosanoids which have a very portent inflammatory response. Consuming diets rich in omega 3 from things like flax and fish help increase tissue levels of omega 3 which have a marked anti-inflammatory response. Friend and colleague, Dr. Bill Lands reported in the late 70s that EPA and DHA (two types of omega3 ) could significantly inhibit the metabolism of arachidonic acid by cyclooxygenase by a process called competitive inhibition. So when we increase omega 3 levels in tissues, we not only replace arachidonic acid we change the kind of substrate that enzymes (COX) use to generate inflammation. The net sum of increased levels of omega 3 fats in the membrane in a net reduction in the potential for inflammation. The solution to reducing inflammation is consumption of a diet high in omega 3 and antioxidants to combat the two principle tenants of inflammation. Interestingly, Dr Lands demonstrated that EPA and DHA had enzyme kinetics (Km’s) similar to that of Ibuprofen which kills COX2 by chemically changing it. Pretty cool to think that a nutrient can have drug like effects. It is important to note that nutritional alone will not totally abrogate or get rid of the inflammation you experience. You are asking your body to perform outside of its normal parameters! Even dinosaurs would stop chasing human prey after a few miles 🙂 It will tend to reduce it as you are chemically changing the foundations of its existence. Many studies have reported drug sparing effects in inflammatory models/diseases with added omega 3. “When I first started using Mega Omega I said I would never use it during a race. But I ate my words and the supplement too. I used it during the 1989 Sparatholon at about 4 hour intervals and just before the 250K (155-mile) run from Athens to Sparta, Greece. I had been using the product for about 10 months, consuming 2 tablespoons a day. During that time I had 6 weeks of peak training whereby I ran the most miles, in preparation for the 36-hour time limited event. I ran 20 miles, 30 miles, 40 miles each day for 6 straight weeks, without any rest days. This validated my belief in its anti-inflammatory benefits. After 16 hours of running and having consumed 10 tablespoons of the flax mix I was not able to get it to go down any longer. Paul Stitt, the developer of the product said I had reached a saturation point. In subsequent years, I ran the event 3 more times, I never matched my time of 27 hours and 8 minutes, and I did not use the mix in those three later attempts. I was told by Paul that my levels of omega-3 probably were high enough because of the continued use of the product, but when I go back again, I think I will use it during the event, but perhaps space out the dosages. I have used it in some of my longer events in the past, but feel my diet has come a long way since those initial use of Mega Omega. Currently, I use it in the morning on cereal and again in the evening with apple juice, both times using 2 tablespoons. I hope this helps and I wish you luck with your future ultra attempts. I just returned from Greece where I ran my 100th lifetime marathon, 2 weeks after running my 150th ultra, which came in the 7th week following 6 marathons in 6 weeks. I got home yesterday evening from Athens, got 5 hours of sleep, and am now in Key Biscayne where I will give a talk in a school tomorrow and for a race this weekend. I'd like to use your Mega Omega product in making cookie dough. If I use it in baking, does this destroy any of the vitamins or the Omega 3? *** Proprietary stabilization technology (developed by our company and patented over 25 years ago) provides a stable, fortified flaxseed composition as a rich source of Omega-3 in the diet. Note: The process is all natural, nothing is added, no chemicals, and the ground flax is kosher certified — stabilization consists of how we handle and process the seed. *** Omega Fields’ products are manufactured to Global Food Safety Initiative standards for human consumption, employing a third party-validated, 5‐log Kill Step and proprietary stabilization processes for long shelf life. 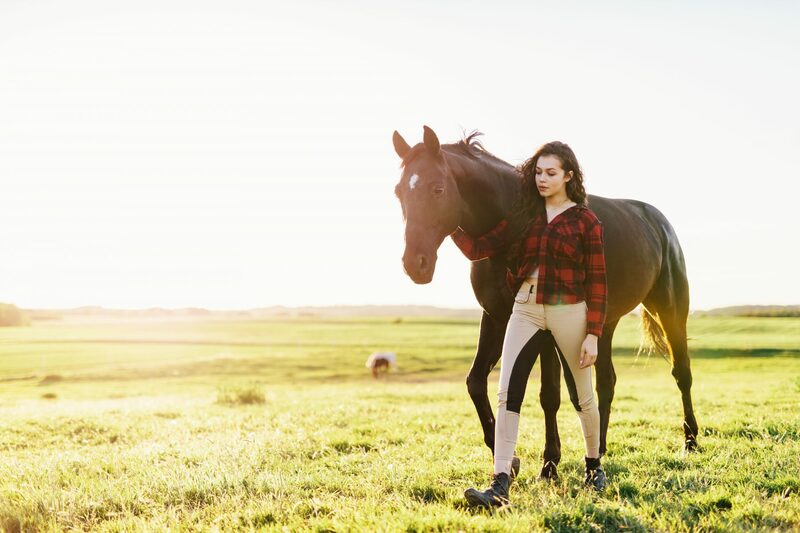 All Omega Fields flaxseed-based supplements are guaranteed pathogen-free with very low total microbial values, and are guaranteed shelf stable for a 18 months under ambient storage conditions – no refrigeration or special packaging required! *** Flaxseed is contracted for and purchased from northern climate producers. Because of the rich soil and short, intense growing season — the flaxseed from northern climates contains a higher percentage of Omega-3. *** High quality standards mean that we reject more seed than we accept. Who do you think accepts the inferior seed we reject? 2.) Baking may lead to the destruction of some nutrients: During the simple baking process, content of vitamins in Mega Omega may be decreasing. Do Omega-3 supplements made from stabilized, ground flax - like Mega Omega - Provide the same benefits as Omega-3 supplements made from fish oil? Flax seed and the oil it contains are considered a whole food. Flax seeds are a rich source of the essential Omega3 fatty acid called alpha-linolenic acid — ALA — (named essential because they must come from outside the body-in the diet). Once consumed, it can be transformed by enzymes in the body to the ultra polyunsaturated fatty acids, eicosapentaenoic acid — EPA — and Docosahexaenoic acid — DHA — commonly found in fish. ALA, EPA, and DHA form vital structural parts of every one of the billions of cells in the body, especially brain, eye and all organ cells. Flaxseeds are not only high in Omega-3 essential fatty acids, they are also high in plant lignans — particularly SDG — that are believed to play a role in fighting a broad range of cancer types. The plant lignans present in ground flax (43 mg per tablespoon) are fiber-like phytochemicals that are transformed into “animal” lignan in the colon by bacteria. Lignans are naturally found in foods high in dietary fiber, and are structurally similar to estrogens (phyto estrogens). Like natural estrogens, they can bind to estrogen receptors, but without causing abnormal changes. Plant lignans have been shown to help inhibit abnormal cell growth and help the immune system do its job. Flaxseed is the most abundant source of plant lignans. Stabilized ground flaxseed is one of the safest ways to get cancer-fighting Omega-3 and lignans into the body. Flax seed is a good source of fiber that helps stabilize blood sugar so that you feel full longer and you have the energy to live an active lifestyle in between meals instead of snacking. It also keeps everything flowing consistently through the digestive process — helping to relieve constipation and aiding in the prevention of colon cancer. Because of it’s high oil content, ground flax seed starts oxidizing as soon as the hard outer shell is broken by grinding. Since flax seeds need to be ground to impart the bioavailability of all its nutrients — you need to make sure to use stabilized ground flax from a reputable source. This safe and convenient stabilized ground flax seed is found in two products from Omega Fields — Simply Omega-3™ and Mega Omega®. Pure encapsulated fish oil supplements (you must make sure they are of highest purity) specifically contain the Omega-3 essential fatty acids — EPA and DHA. They do not, however, contain ALA, lignans, or fiber. But not all fish oil supplements are equal in value or effectiveness. Many, manufactured from the liver of fish, contain dangerous levels of toxins and pollutants. Others contain unnecessary, sometimes harmful fillers. What this means is that careful scrutiny and selection of high grade concentrated fish oil is absolutely necessary. In high grade concentrated fish oil, most or all of the impurities have been removed and this oil can be concentrated to contain much higher levels of Omega-3s. The most effective and simple strategy is to find an Omega 3 product that has gone through rigorous distillation and testing processes to ensure its purity. Ultra-Pure Omega-3 Fish Oil and Krill Berry, which we sell on our website, are two such recommended products. Both sources of Omega-3 (stabilized ground flax seed (plant based) and fish oil supplements (animal based)) — are excellent supplements for anyone looking to supplement Omega-3 in their diet. I read in MedScape of a urological study involving the use of ENRECO® flaxseed for patients with prostate cancer. I would like to know where to purchase the same product as used. Thank you for your email and your interest in the ENRECO stabilized ground flax seed used in Duke University’s urological study for patients with prostate cancer. We are very pleased to have a long-term association with Dr. Wendy Demark-Wahnefreid and Duke University regarding prostate cancer – a topic very relevant to so many men and their families in these times. Our product, Simply Omega-3, is the same stabilized ground flax that was used by the men in Duke University’s urological study for patients with prostate cancer. Simply Omega-3 is our pure stabilized, ground, fortified flax seed supplement – with 2500 mg of Omega-3 per 15 grams (2 Tablespoons) serving. Simply Omega-3 has the highest Omega-3 amount per serving. Note: 30 grams per day was the amount that was recommended in the Duke University Study to help reduce the tumor size and/or help prevent prostate cancer. Mega Omega® is our new and improved supplement formula using stabilized ground flax, plant and vitamin based antioxidants, and minerals, along with a very healthy dose of Vitamin D-3. Simply Omega-3 and Mega Omega can be mixed in a fruit smoothie, hot or cold cereal, cottage cheese, juice of your choice, yogurt or pudding, or ice cream AND you can use them in baking and cooking. You can take advantage of quantity discounts when purchasing 6 each or 12 each 2 lb pouches of Mega Omega. We are very proud that our stabilized ground flaxseed formula Mega Omega — stands strong as s premium ground flaxseed supplement in the marketplace today with a 18 month Freshness Guarantee when stored at room temp of 74º F. or less. I'm taking 6 tablespoons of Mega Omega a day. I'm thinking of adding Delicious Greens and Perfect Purples to my health drink. Is this over doing it? Would it taste okay? I'm not a great eater, so I try to put the best product in my daily drink. I mix in milk with protein powder. I'm taking Naturesway vegetable and fruit capsules and I'm wondering if your product might be better! Well, your question is a pretty easy one for me to answer — as I currently make a daily breakfast smoothie using Mega Omega, Delicious Greens, and Perfect Purples — mixed with fruit juice, soy milk, and frozen fruit. I also add rice protein powder. I’ve been using our stabilized ground whole flax seed (rich source of Omega-3, soluble and insoluble fiber, and lignans) for over ten years — as long as I’ve been privileged to work for this company! I really like the Mega Omega, because of the plant and vitamin based antioxidants added to the stabilized ground flax base — and the little bit of crystalline corn fructose (safe sweetener with low GI rating) makes it very tasty. 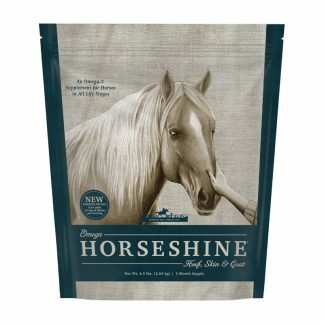 I’ll share with you my reasoning and personal opinion for choosing the blend. For a number of years I’ve read many, many health related articles and scientific studies (from various sources) concerning the importance and beneficial effects of getting a wide variety of plant and vitamin based antioxidants into the diet. They agreed on the point that a synergistic blend of antioxidants enables the individual antioxidants in the blend to provide more life, effectiveness, and longer-lasting free-radical-busting power to the other antioxidants. The word synergistic basically means that things working together are more powerful than each individual component on their own. I also learned that antioxidants have a proven record for helping our bodies prevent debilitating disease. That sounded very good to me! The problem was that if you had to take that many pills or capsules — it wouldn’t be very realistic for me on a consistent day-to-day basis. I definitely needed something more user-friendly! I became interested in the Delicious Greens and Perfect Purples as a tasty and convenient source of vegetable and fruit based antioxidant powdered drink blends when Omega Fields was researching selection of the best products we could find to offer on our Omega Fields Health website. We chose Delicious Greens 8000 and Perfect Purples to represent our choice of the best-tasting, most effective, powdered vegetable and fruit based antioxidant blends. That’s when I started adding 1/2 scoop of each to my daily breakfast smoothie. Personally, I love my morning smoothie, and I mentally pat myself on the back when I drink it down the last drop and think to myself, “Good for you, Bonnie!” I feel good, have plenty of energy, and enjoy life! I have a feeling you look at life in the same way, Michelle!Bottom Line: You are not over doing it by mixing Mega Omega, Delicious Greens, and Perfect Purples — in fact, it’s the perfect tri-mix to provide Omega-3, fiber, vitamins, and synergistic antioxidants for optimal health and vitality. Keep in mind that proper exercise and smart nutritional choices are always part of a healthy lifestyle. Check with your doctor before starting on a strenuous exercise program. Above statements have not been evaluated by the Food and Drug Administration. This product is not intended to diagnose, treat, cure, or prevent any disease.